Social media doesn’t have to be confusing, and calculating return on your social investment shouldn’t be a mystery. We’ve helped all types of businesses, large and small, generate leads from social media by creating engaging content for all major platforms including Facebook and LinkedIn. Zellus currently manages social media accounts that total around 30,000 followers with a monthly reach over 100,000 people. Social media marketing usually starts with single social media account at 10 hours per month. Cost increases as hours devoted to social media are increased. Includes monitoring, creating content, and adding users. 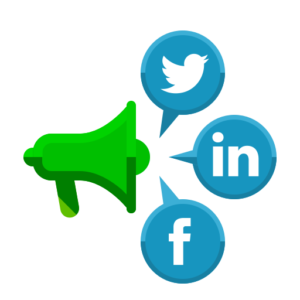 Fill out the form to get your detailed social media marketing strategy and quote today!